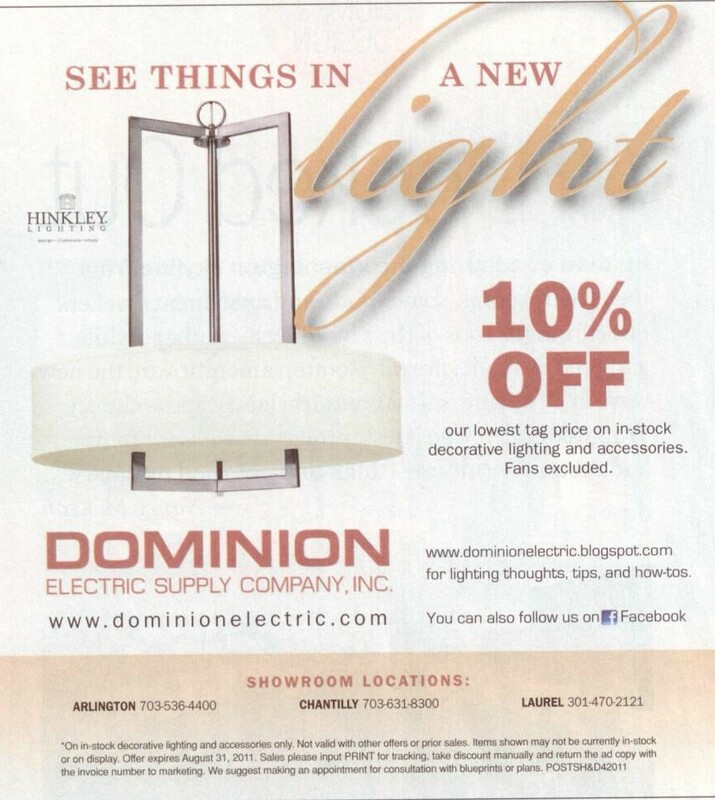 We had a 10% off coupon in the Washington Post magazine dated April 3rd, 2011, so I thought I'd try to extend its shelf life and share it on our blog, Facebook, and Twitter! 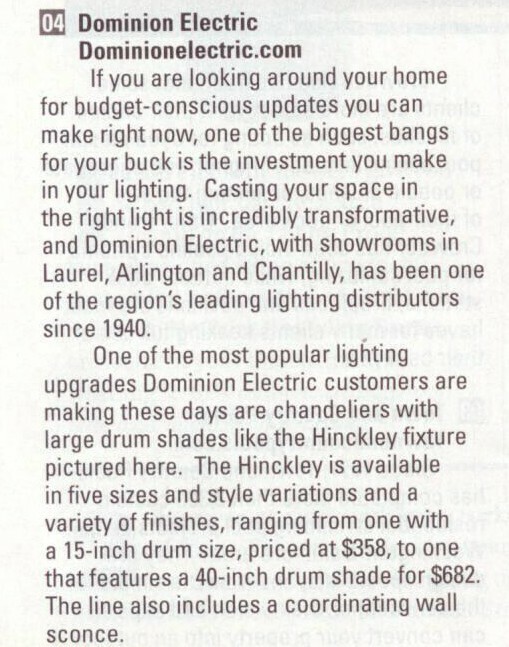 We are featuring Hinkley Lighting's "Hampton" family. 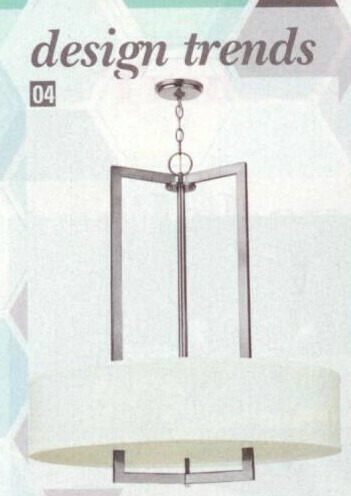 This first picture shows the #3204 in Antique Nickel finish. We have exactly this size and finish on display in our Chantilly, VA showroom, if you'd like to see it in person. I love their little bit of extra hardware that jazzes up the drum shade. 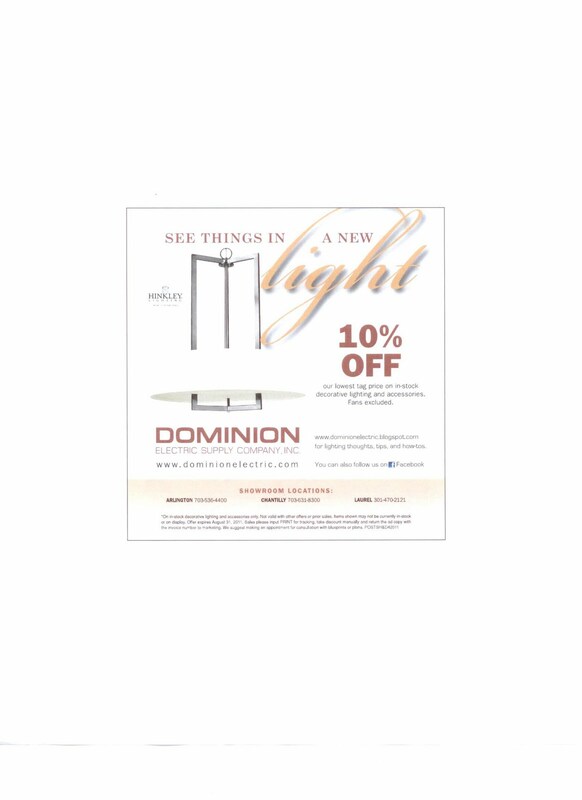 Here is the 10% off coupon. Go ahead and print it off and bring it in! It's good through August 31, 2011. If you are looking around your home for budget-conscious updates you can make right now, one of the biggest bangs for your buck is the investment you make in your lighting. 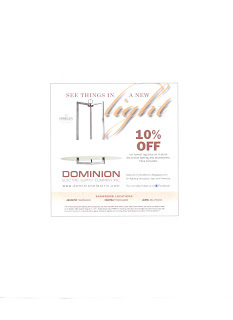 Casting your space in the right light is incredibly transformative, and Dominion Electric Supply, with showrooms in Laurel, Arlington, and Chantilly, has been one of the region's leading lighting distributors since 1940. 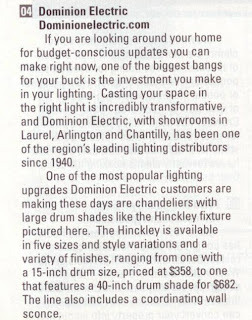 One of the most popular lighting upgrades Dominion Electric Supply customers are making these days are chandeliers with large drum shades like the Hinkley fixture pictured here. The Hinkley is available in five sizes and style variations and a variety of finishes, ranging from one with a 15-inch drum size, priced at $358, to one that features a 40-inch drum shade for $682. The line also includes a coordinating wall sconce. 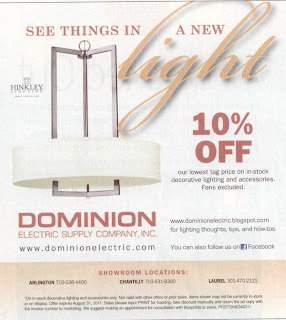 If you'd like any more information on anything, our web site is www.dominionelectric.com, and Hinkley's is www.hinkleylighting.com.